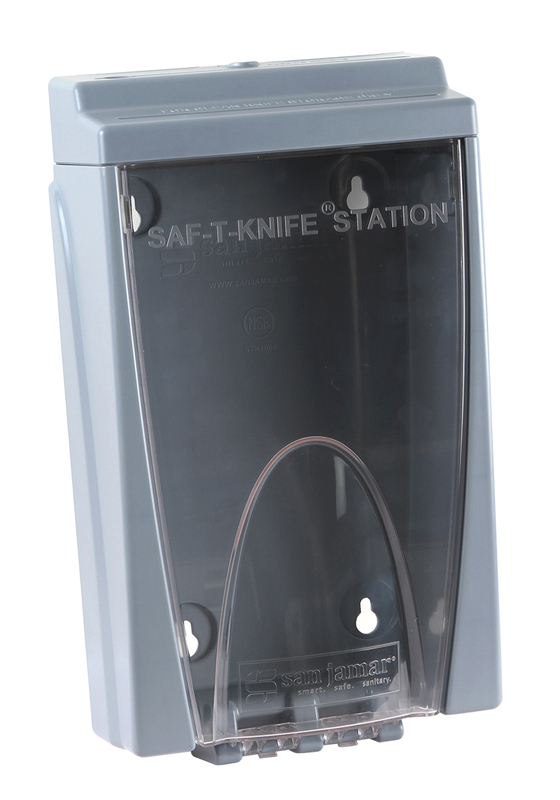 Saf-T-Knife® Station Jr. provides safe, sanitary and secure storage for kitchen knives and is perfectly sized for prep areas or smaller kitchens. 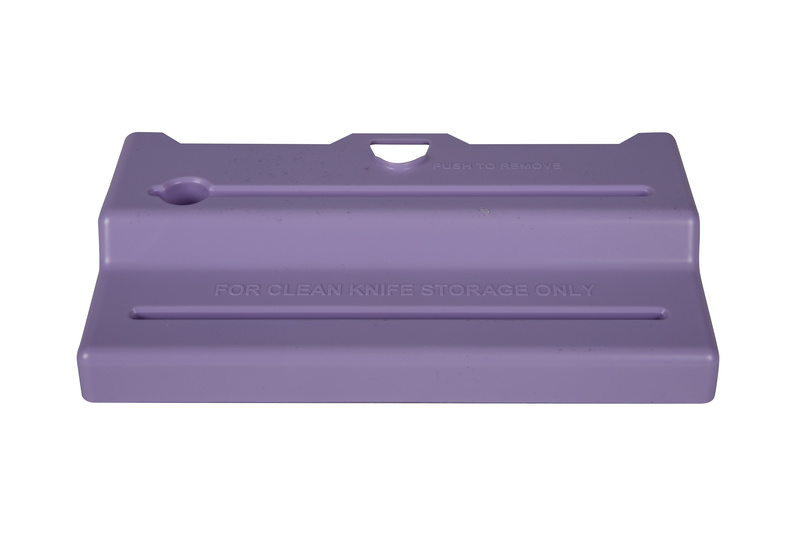 The see-through closed container protects knives from contaminants and damage while allowing staff to view knives, making choosing the correct knife easy. 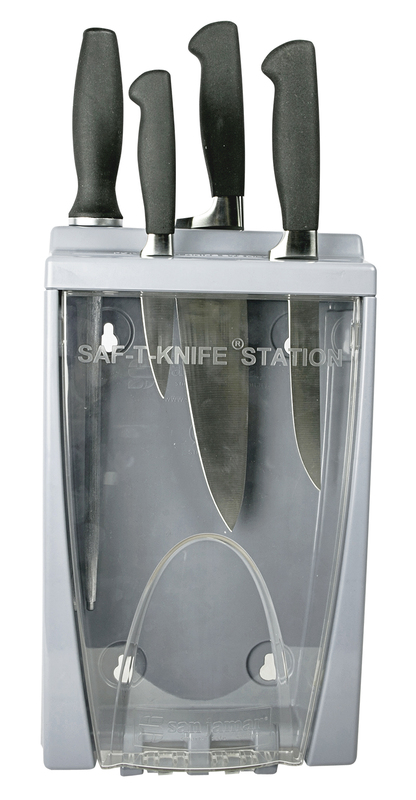 The Saf-T-Knife® Station Jr.’s two large slots can accommodate a variety of knife sizes. 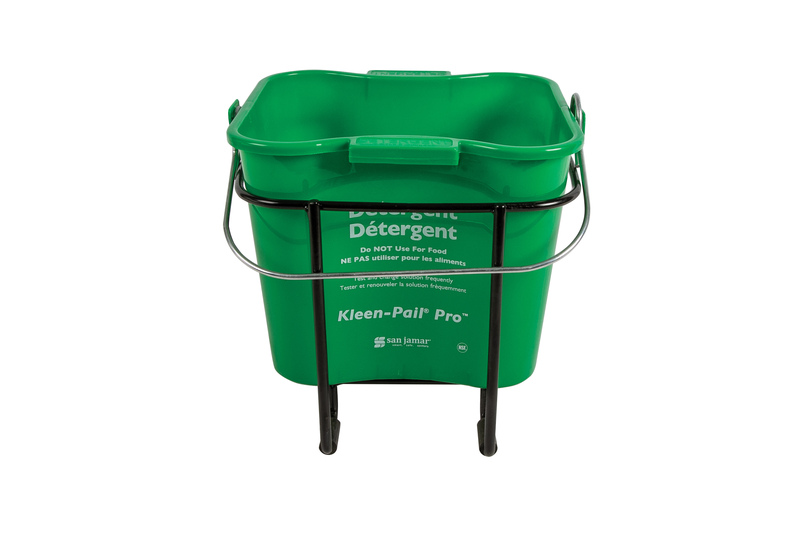 The 3-piece break-resistant plastic construction is easy to assemble, mount and disassemble for cleaning. 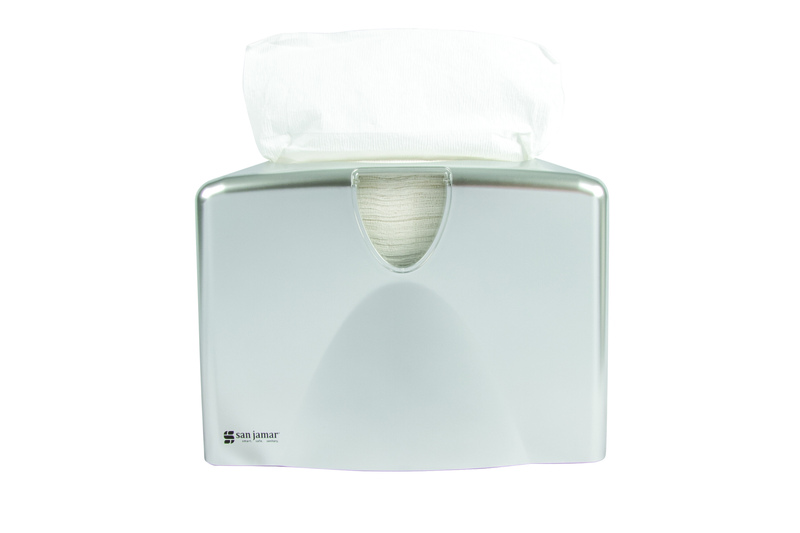 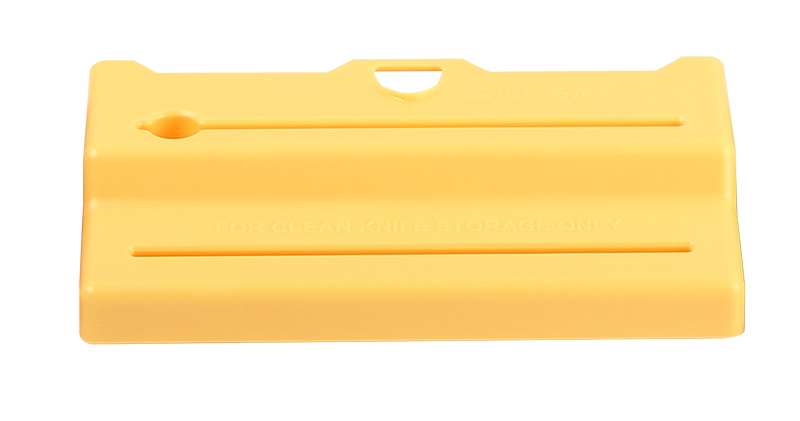 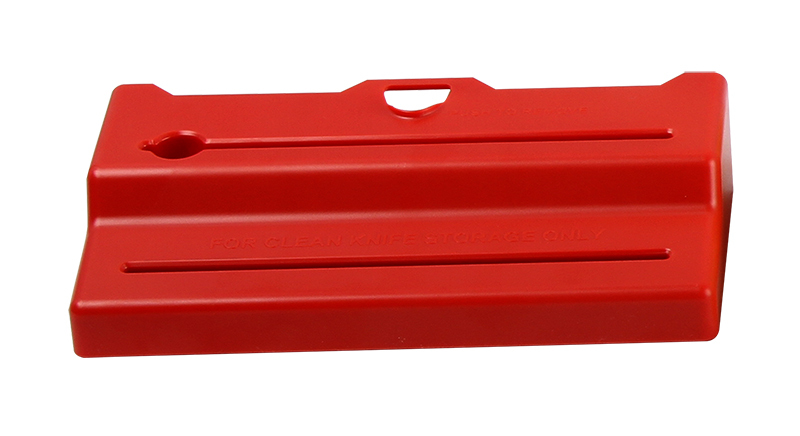 Saf-T-Knife® Station Jr. is completely dishwasher safe and NSF Certified. 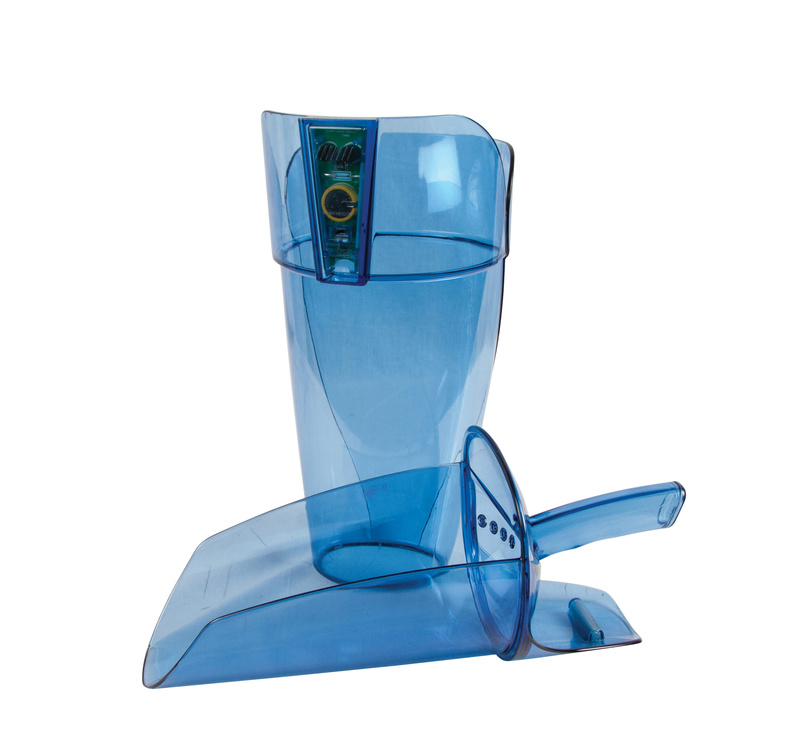 BreadGuard™ San Jamar’s BreadGuard™ eliminates the risk of cross-contamination by providing a safe and sanitary barrier between one’s hand and the food being prepared. 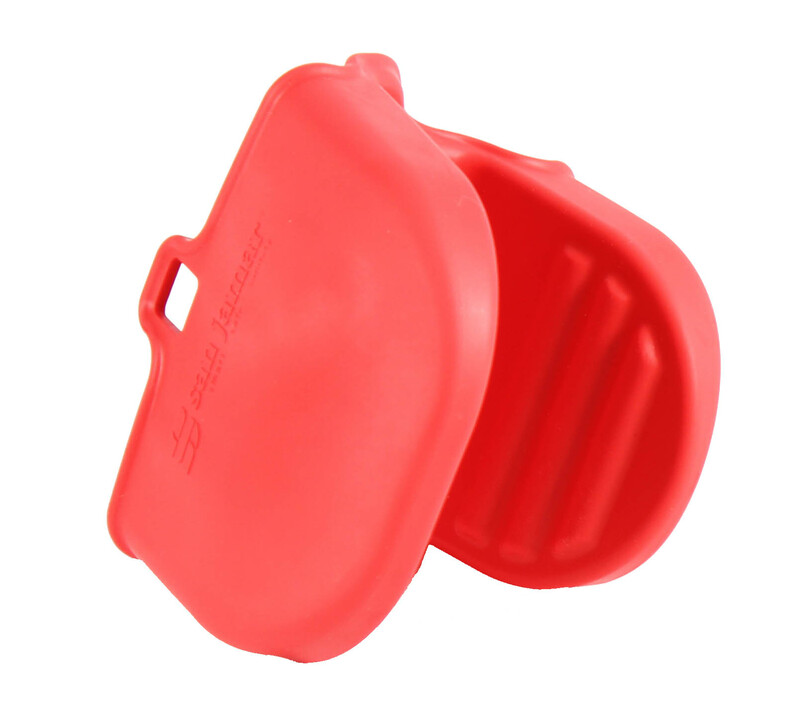 This unique mitt will also provide cut protection for end user’s hand while cutting food. 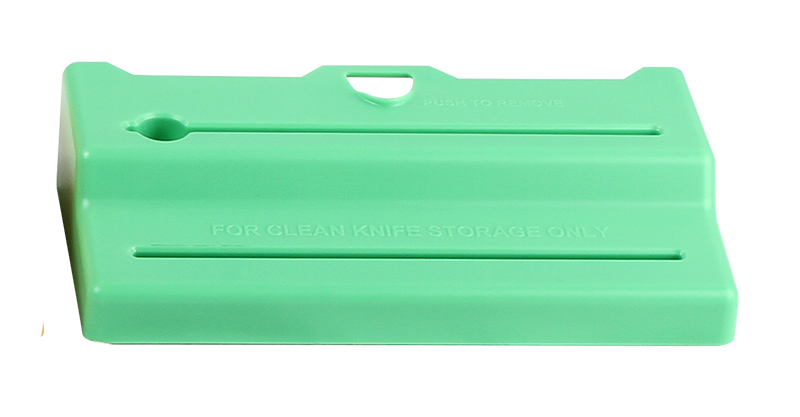 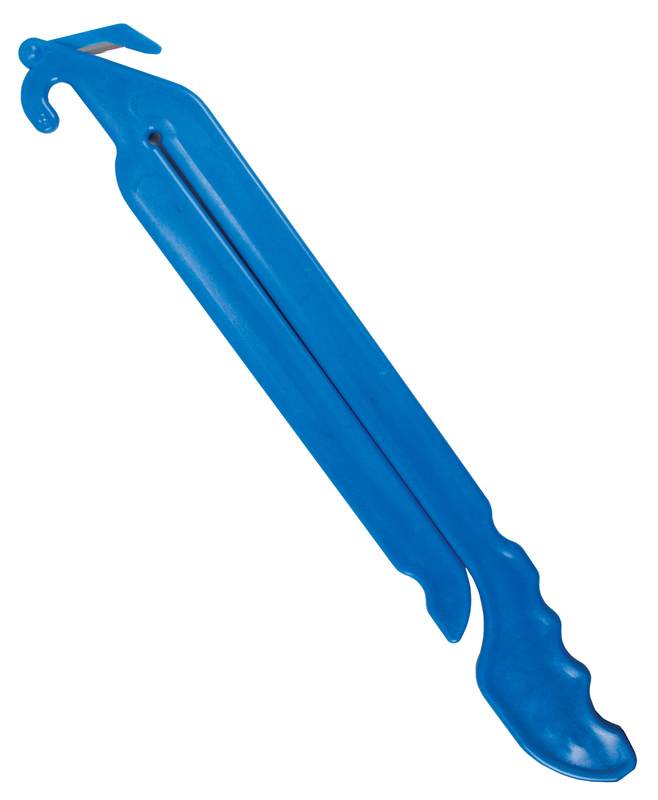 The BreadGuard™ eliminates these threats making kitchens and meals prepared in kitchens safer for all.